With the summer season in full swing, warnings about the dangers of sun exposure are at an all-time high. You spend June through August lathered up in sunscreen, sitting in the shade with UV protective clothing to keep your skin safe from the summer sun’s strong rays. While your skin might thank you, you could actually be setting yourself up for vitamin D deficiency. 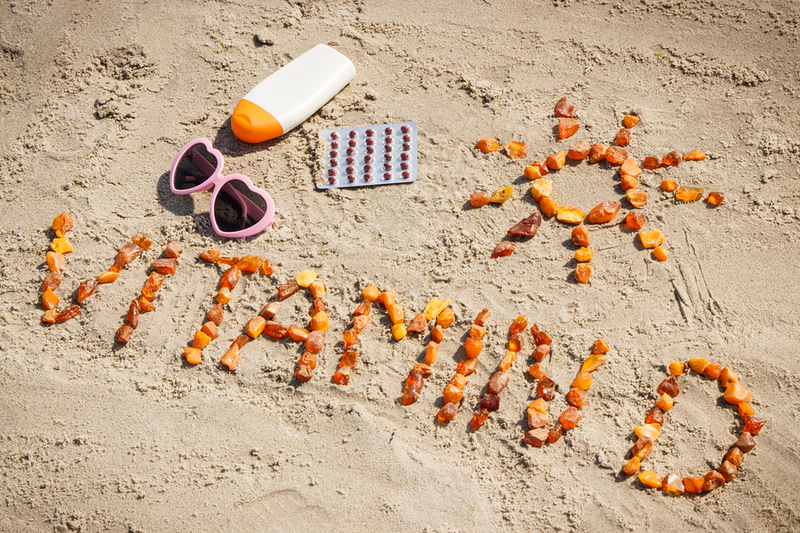 Vitamin D, or the “sunshine vitamin,” is most easily produced by – you guessed it – sun exposure. For those concerned about skin safety, the thought of bare skin in the sunlight could send a shiver up your spine…even in the summer! 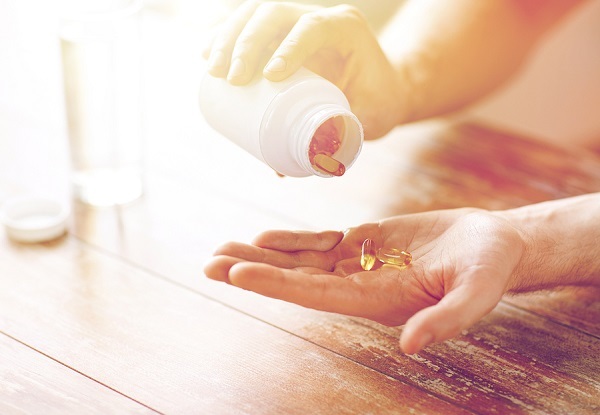 Luckily, there are a number of sunless alternatives for obtaining a healthy dose of vitamin D to fit around your lifestyle. Vitamin D serves several functions in the body, but its most vital role is promoting calcium absorption. Vitamin D and calcium work hand in hand, acting as the “building blocks” for strong bones and teeth. As men and women age, however, their bones naturally weaken and become less dense. Without vitamin D present in the body it is difficult to absorb the amount of calcium needed to keep these bones strong, making them more susceptible to brittle bones and osteoporosis. Vitamin D is also a key player in a healthy immune system. Think of vitamin D like a switch, turning on and off certain functions needed to keep the body healthy. When vitamin D is produced it is transferred throughout the body, from the bones to the brain to immune cells. If vitamin D receptors are not present in these areas of the body, there will be nothing to switch “on” the body’s defense mechanisms against certain illnesses. Studies have shown upwards of 40% of the US population is vitamin D deficient, the majority of which goes unreported and untreated. The reason? Vitamin D deficiency is often silent. Those lacking in vitamin D could show no symptoms at all, or might not show symptoms until vitamin D levels are so low they impact other areas of one’s health. MayoClinic and USDA recommend adults aim for 600 IU (international units) of vitamin D per week. 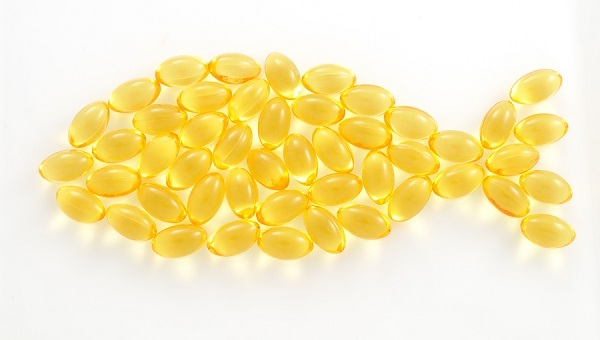 How do these vitamin D-rich options stack up against the daily recommended value? Since calcium and vitamin D work hand in hand to promote stronger bones and teeth, it only makes sense to find your vitamin D fix in the dairy aisle. Vitamin D is not found naturally in milk, but because it is needed for calcium absorption in the body it is often added to milk before reaching your grocery store. Look for milk cartons labeled “fortified with vitamin D” to make sure you’re getting the vitamin boost your body needs. Tip: If you are lactose intolerant, or simply not a fan of milk, look for vitamin D fortified orange juices, eggs and cereals instead. The natural oils found in fatty fish are a rich source of vitamin D. A study conducted by Boston University found Wild Salmon to be the best source of vitamin D, with Ahi Tuna, Farmed Trout, Bluefish, and Farmed Salmon rounding out the top five. As for a serving suggestion, I recommend baking your fish to preserve the vitamins. Frying your fish can cause it to lose up to 50% of its vitamin D content! Chanterelle mushrooms are a sunshine superfood because they are like sponges – they absorb the sun’s vitamin D properties so you don’t have to. Mushrooms are one of the only plant species containing ergosterol, the plant version of cholesterol and a necessary predecessor to vitamin D production. Because Chanterelle mushrooms are meatier than most other mushroom species they contain more ergosterol, making them one of the greatest vitamin D producers in nature. Keeping your skin protected from the sun is important, especially during the summer months. Your health shouldn’t have to suffer as a result! There are plenty of sunless substitutes for the sunshine vitamin, but it’s important to consult with a functional medicine doctor first. Vitamin D deficiency is hard to detect and should not be self-diagnosed. Work alongside your doctor to reintroduce vitamin D to your body with a treatment plan designed around your individual needs and lifestyle. It is best to get your levels measured and consult a functional medicine doctor to help you raise it to optimal levels of 60-90.